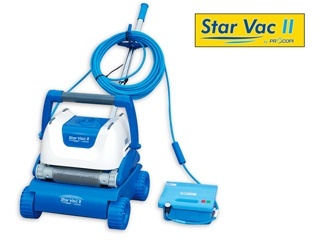 Star Vac II NG robots are very easy to use, simply plug and play. 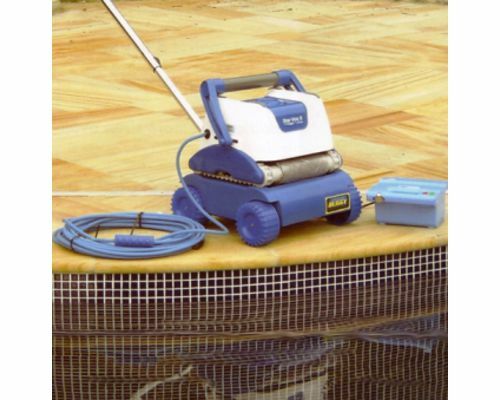 Star Vac II NG are suitable for pools of all shapes up to a maximum water surface area of 80 m². 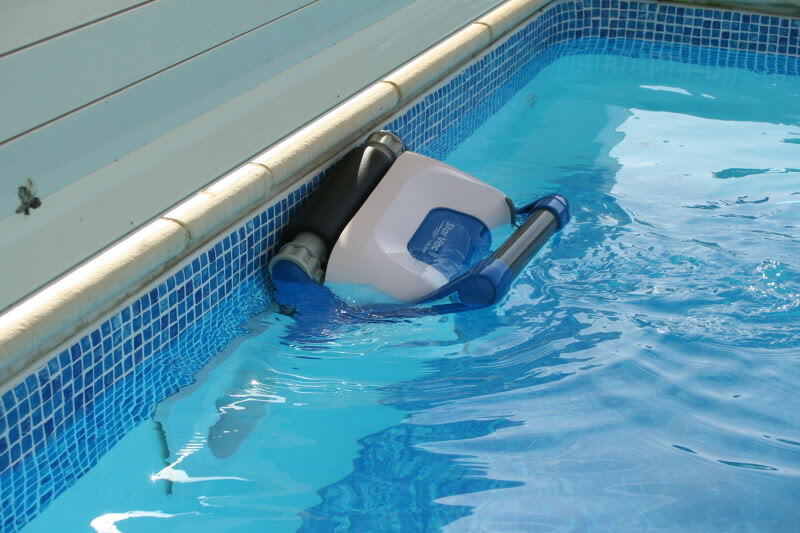 Optimised programming allows the robot to adapt to all types of pool, efficiently cleaning the pool floor, walls and water line. 3 hour cycle to clean the pool floor, walls and water line at the height of the pool season. It is a compact machine comprised of a motor, a filtration pump and a large capacity, reusable filtration bag to trap debris. The STAR VAC II NG has 2 motors. A high speed submersible drive motor and a high efficiency submersible pump motor, which produces the suction. The flow rate of 16m³ per hour is greater than the filtration flow rate of most domestic pool systems. By removing debris and fine particles from your pool, STAR VAC II assists your filtration system, giving your water greater clarity and bather comfort. The STAR VAC II is equipped with the latest technology: STAR VAC II learns the shape of your pool for maximum efficiency. If the cleaner encounters a beach or dry slope, it stops and reverses back into the water. If the cleaner runs dry, it stops automatically after 5 seconds. If it doesn't meet a wall within 90 seconds, it changes direction. All you require to install STAR VAC II is a 13 amp weatherproof outdoor socket (and have the transformer placed) at least 2m from the pool, protected by a 30mA RCD. This item is now in stock for Next day delivery.